November A Box, Indied: Glisten & Glow Cran I Have Seconds Please? Good evening, dear readers! I hope this post finds you well and you have enjoyed the start to a new week. 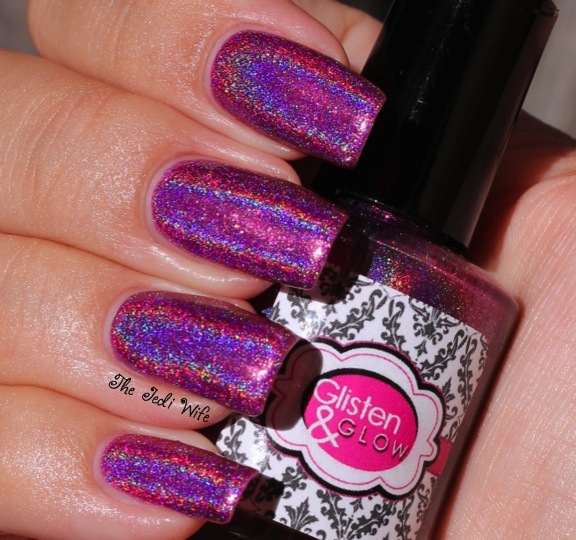 For tonight's blog post, I have a gorgeous polish made by Jill of Glisten & Glow. Cran I Have Seconds Please? 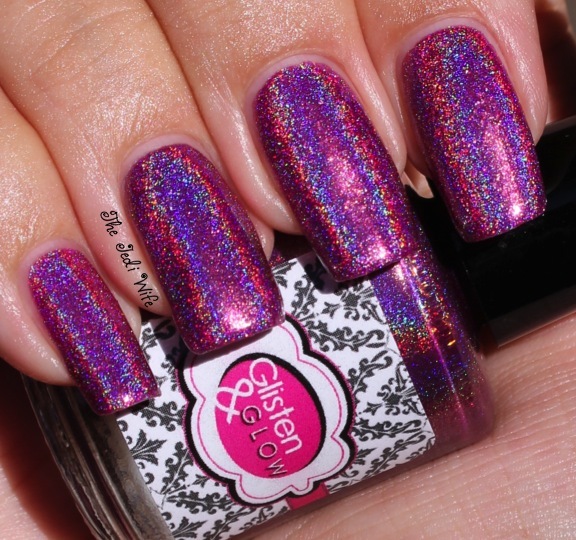 is a gorgeous purple-leaning magenta holographic polish with blurple flakes that will be available exclusively in the Llarowe November A Box, Indied. Let's look at some pictures of this beauty, and I'll give more details afterwards. The formula of this polish was really smooth, and it applied very easily for me. I used two coats of Cran I Have Seconds Please? 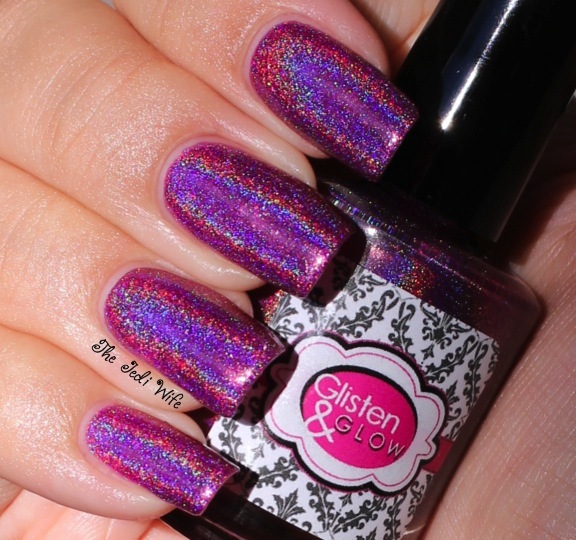 and followed up with Glisten & Glow's HK Girl topcoat for these photos. I am really blown away by this colour, and I can definitely see it being a fan favorite from the November box! The November A Box, Indied is currently scheduled to be released October 26th at Llarowe.com. You can sign up on the website for emails about specific launch times or you can follow Llarowe on Facebook for details. I have one of the other polishes from the November box to share with you later this week, and you don't want to miss out! I haven't seen the remaining three polishes yet, but if Cran I Have Seconds Please? and the other I have seen are any indication on what the box will be like, it is going to sell out fast! I am so excited about this box! Do you have a subscription for A Box, Indied, or will you be trying to get a box for the launch? I'd love to hear from you! Sweet Bean strikes again! I always seem to miss out. So pretty! Wish I could snag the box on time. I've been a subscriber from day one and LOVE it! I'm so thrilled about this color, and Jill is awesome!!! Her HK Girl topcoat is my Holy Grail! Each month just gets more fantastic! !